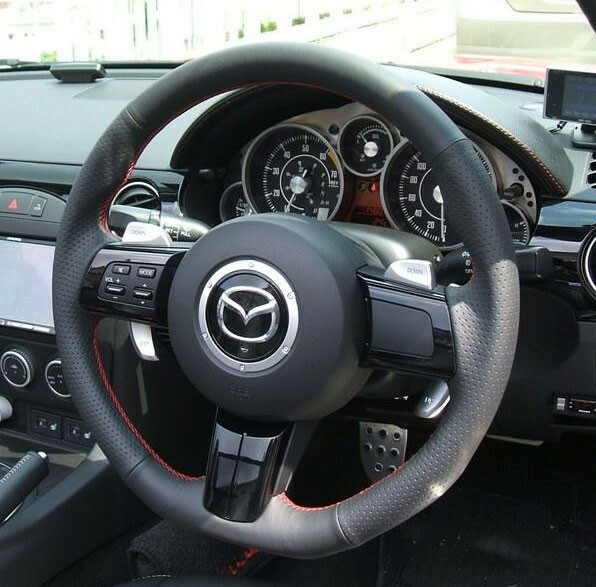 Beautiful and classy D-Shape steering wheel made by Autoexe for the 2006 to 2015 NC MX-5s. 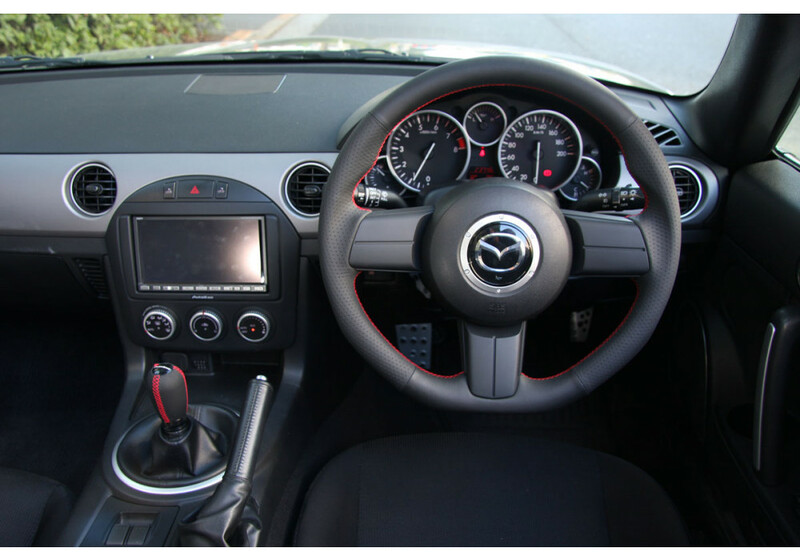 It's a replacement steering wheel that requires to re-use your existing airbag and audio controls / trims on the steering wheel. Installs in about 30 minutes! 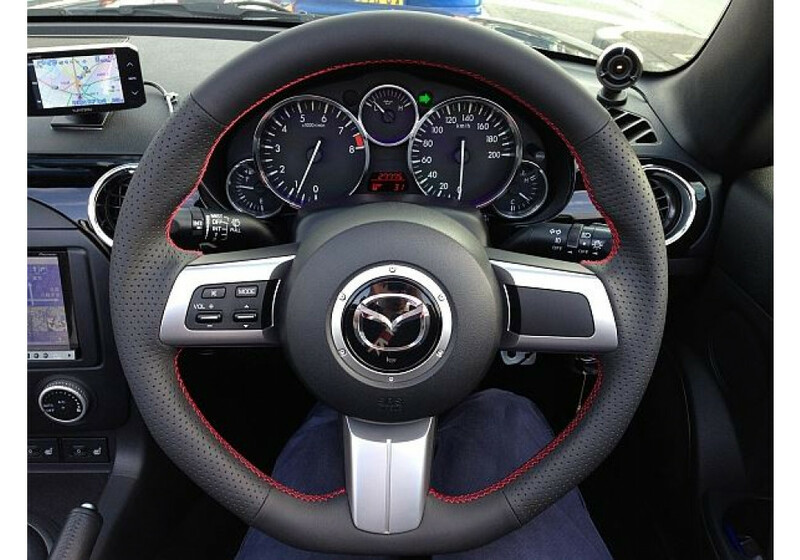 Autoexe carefully crafted the wheel, using a mixture of solid leather and dimpled leather for a very sporty look. Autoexe also wanted to ensure that meter visibility and steering feel were not impacted, so elected to use the same diameter as stock (370mm). 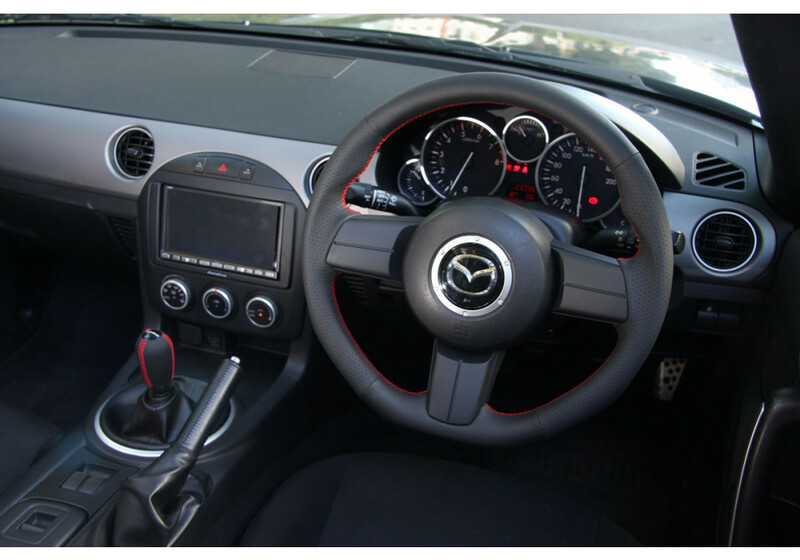 With this kit not only do you get the sportier look in your interior, you also retain function of your stock airbag for ease of auto inspection as well as safety! 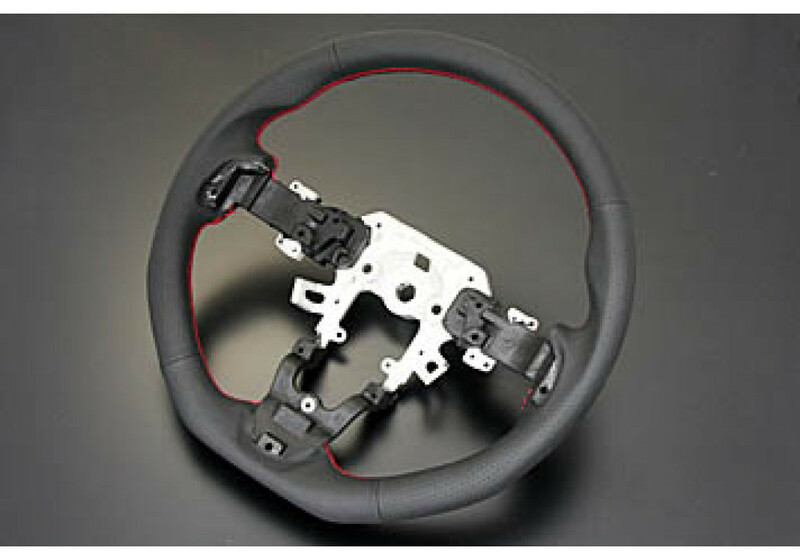 Autoexe Steering Wheel should be ordered at REV9 Autosport https://rev9autosport.com/autoexe-steering-wheel.html as they provide the best service and speed we've seen so far! 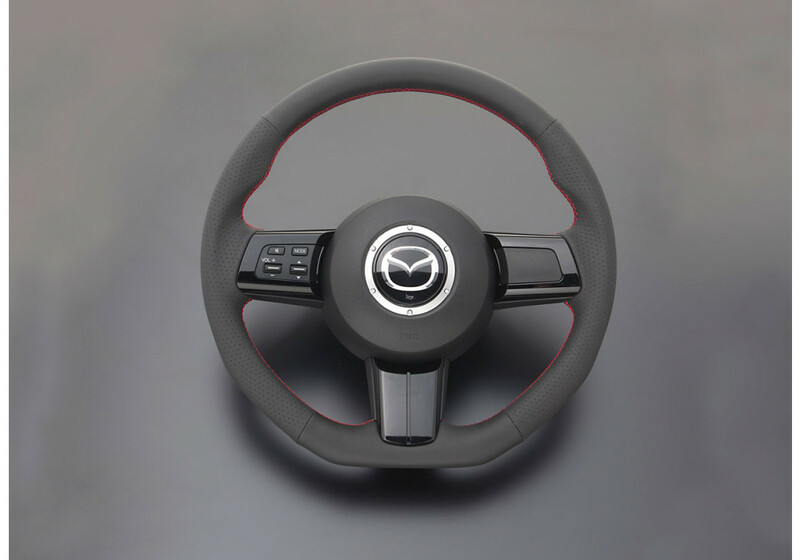 The diameter of the wheel is same as stock but how much thicker is the wheel itself? Top is 36x27mm (Original 35x27mm) and side under is 32x32mm(original 35.3x27.5mm).